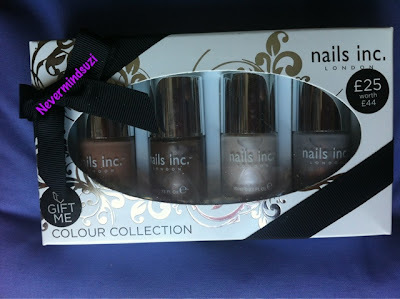 To start with I have the Face of Australia - Barbados Collection and a lovely nail art pen. Calypso Gold, Bright Lights Pink City, You Blue Me Away, Orange You Glad You Came, Another Daiquiri Please, Party At The Gap, I Like To Mauve It, Lets Go Scuba Diving. 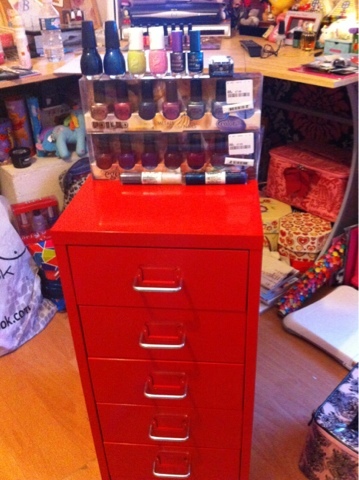 Ignore the clutter in the background but this beautiful red unit is (1 of) my brand new Helmer which I got on Sunday, the answer to all my nail polish storage problems! 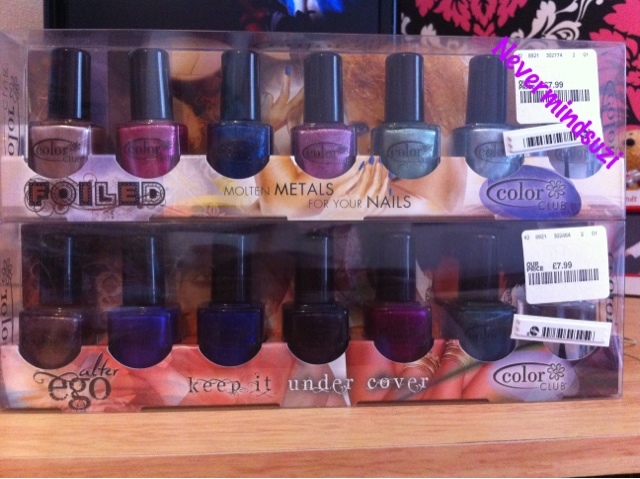 And to "christen" it I also bought all the polish you see on top, lol. 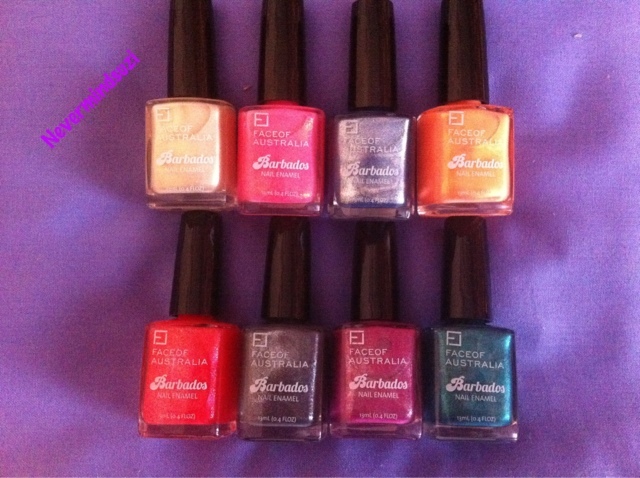 Here's a close up of the polish, we have Sinful Colors, Essence & Color Club. And a close up of this beauty with the labels all categorised. Not sure if you can see but from top to bottom we have - Nails Inc, OPI, China Glaze, Random, Box Sets (Color Club, Urban Decay, OPI) & Nails Inc Box Sets. 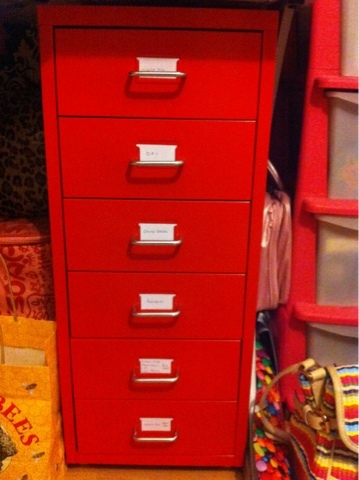 Oh how I love to be organised! 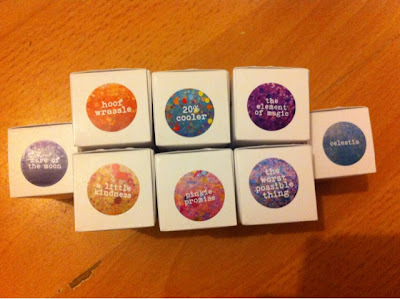 Here are my 1st ever Essence Polishes! The 2 little 1's on either end are (l-r) Where is the Party? and Choose Me! 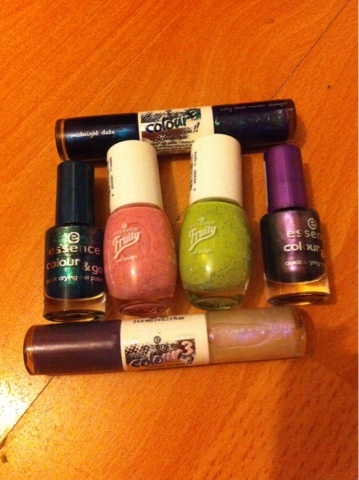 The 2 Fruity polishes in the middle are (l-r) One Kiwi a Day and Mashed Berries. The top and bottom 2 are Essence Colour 3 in Midnight Date (top) and Boys are Back in Town (bottom). 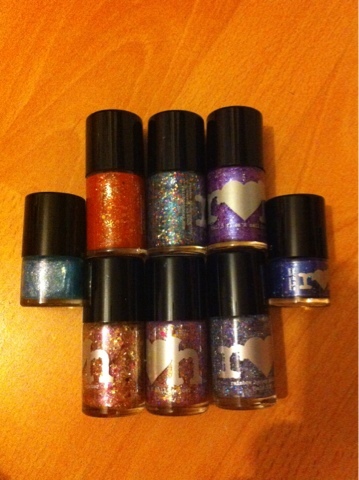 For love nor money could I get a good picture of the Color Club bargains I picked up in TK Maxx. Alter Ego at the bottom. 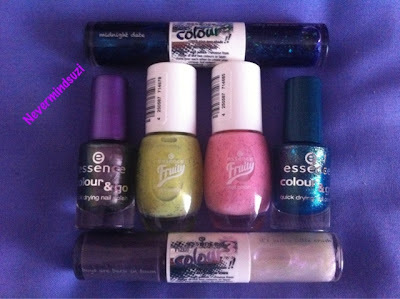 Some more bargains in the form of 2 Sinful Colors polishes I found in "Discount NI" - a random wee shop I found that had a few nice polishes but these were the only 1s I didn't currently own. (L-R) See You Soon and All Mighty. And finally! My current Holy Grail of Polishes! 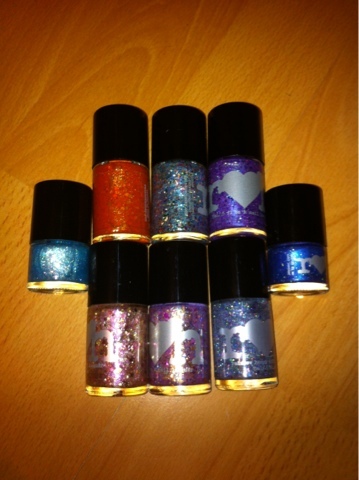 The Rainbow Honey Equestria Collection! I pre-ordered these (and paid for them then) back in June so was excited to get them! These were too nice not to do a variety of shots. 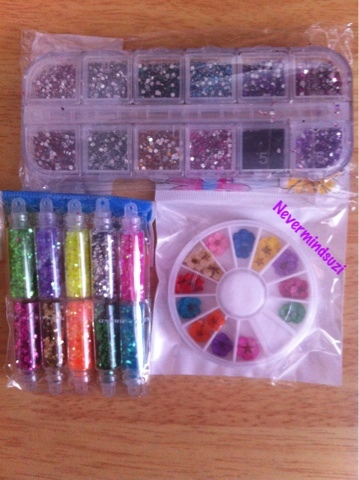 Lets not forget good auld ebay, some recent nail art supplied I got. 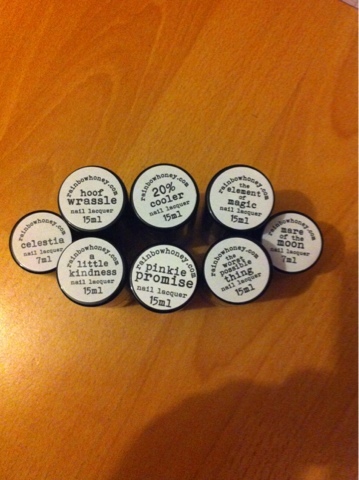 year as a night cream (or day cream if my face is sore/dry) but I've never paid full price and I wasn't about to start. Normally £12.95 per tin I got this gorgeous twin set for £15.00 bargain! Awesome haul!!! I am jealous!!! 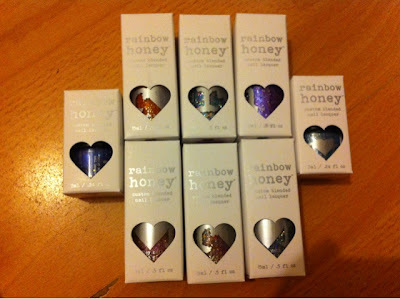 Omg...all those Rainbow Honeys! I'm debating getting the set of minis. All of their polishes are so beautiful!